Get Your Free Lesson Plan! Welcoming Teachers and Students Since 1998! 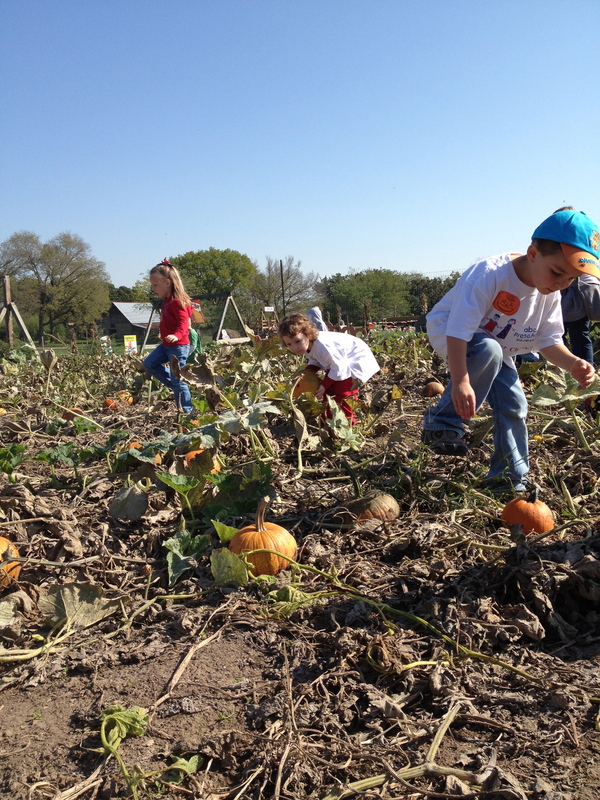 Our experience in hospitality and hosting groups combined with our love of learning and passion for pumpkins is what makes this field trip truly one of a kind! 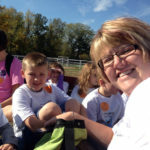 Teachers enjoy our highly organized field trips while students have fun in our unique setting. 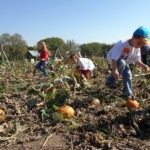 Imagine learning about the life cycle of a pumpkin in an outdoor classroom, getting up close and personal feeding the friendly farm animals, and solving a field maze puzzle. 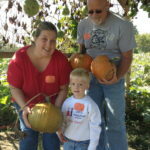 Each participant then picks a pumpkin from the patch to round out the perfect field trip. 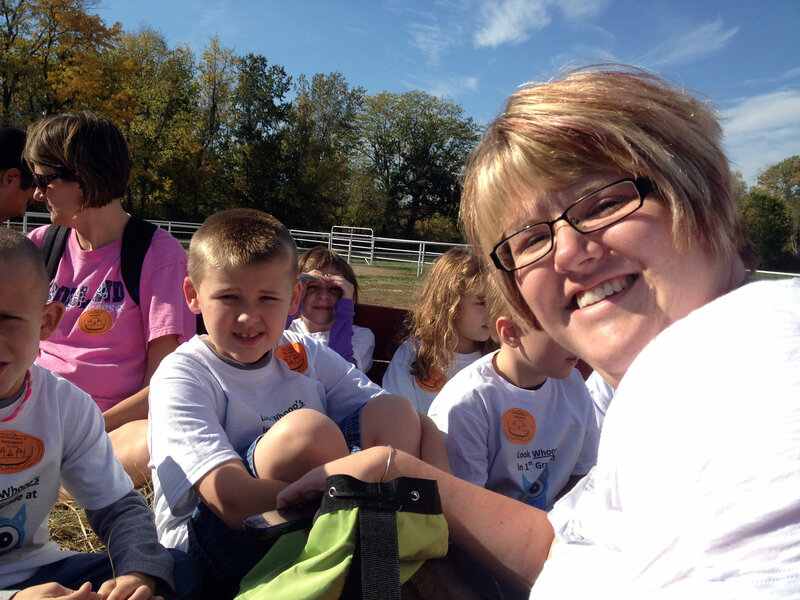 Call (816) 761-5055 or fill out the form below to request your field trip today! 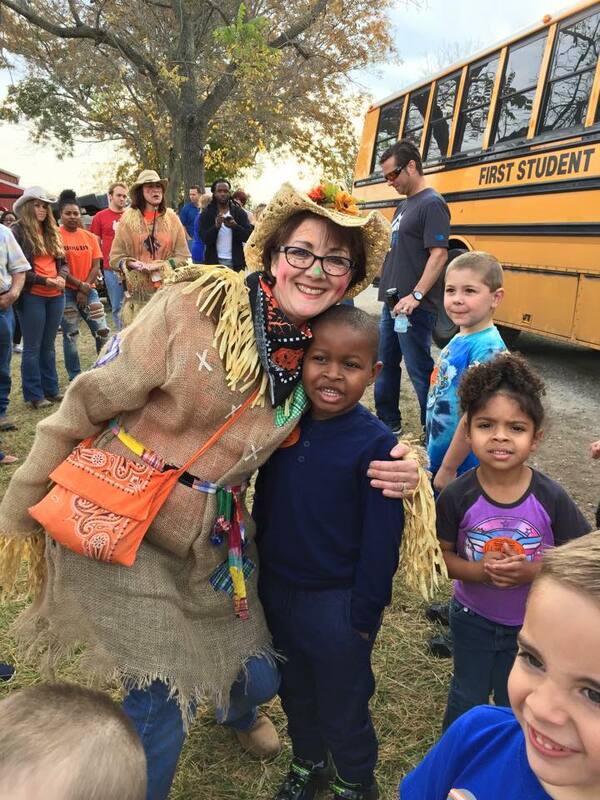 Please Note: One Scarecrow Tour Guide will be reserved per 30 total reservation (students and parents combined). Additional spots may not be available on your tour day so please estimate this number wisely when filling out your request. 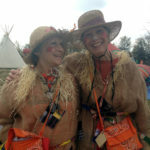 Outdoor Reading Room – "The Story of Pumpkin"
Scarecrow Tours last about an hour. 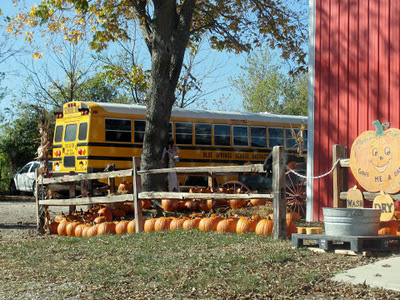 Most groups allow for 30 minutes to one hour before or after their scheduled tour time to play, eat, and pick pumpkins before departure. 9:15am, 10:30am, 11:45am, and 1:15pm. 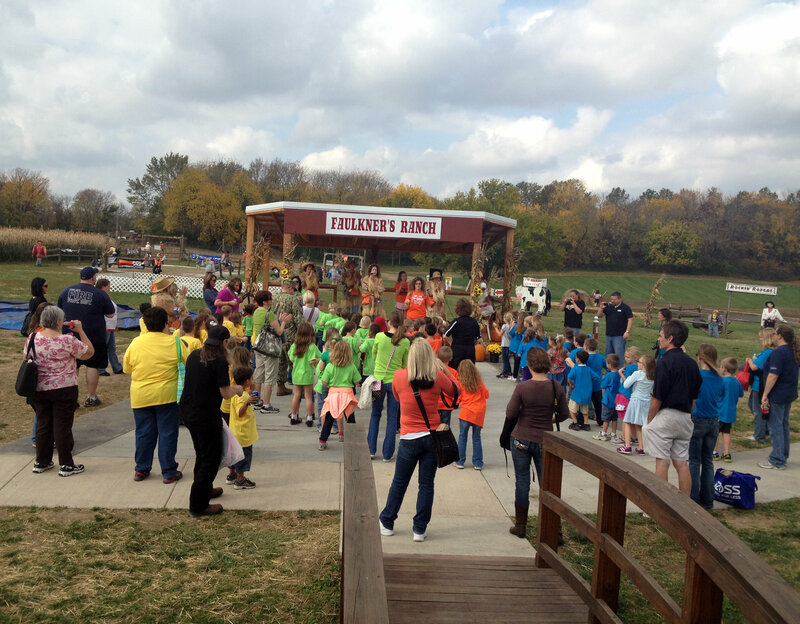 Faulkner’s provides plenty of assistance throughout your field trip to ease your load. Look for staff to welcome you upon arrival and to assist with set-up and clean-up while you are here. You’ll enjoy our clean indoor restrooms, paved paths, and covered picnic pavilion. You may bring sack lunches or snacks or make it even easier on yourself by pre-ordering one of our Field Trip Food Packages. When you are ready to leave there is even a friendly face in the patch to assist you in choosing your pumpkins to take home. 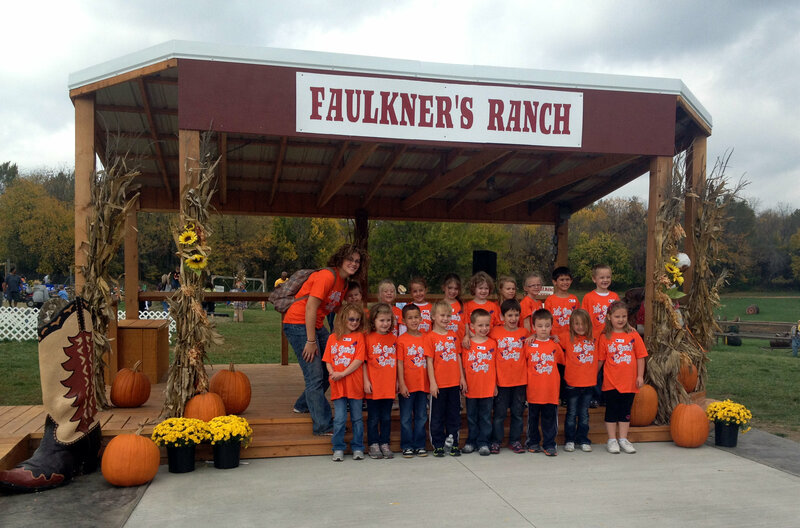 Our field trip to Faulkner’s Pumpkin Ranch was the best! 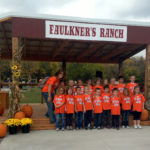 We enjoy bringing our students to Faulkner’s year after year. 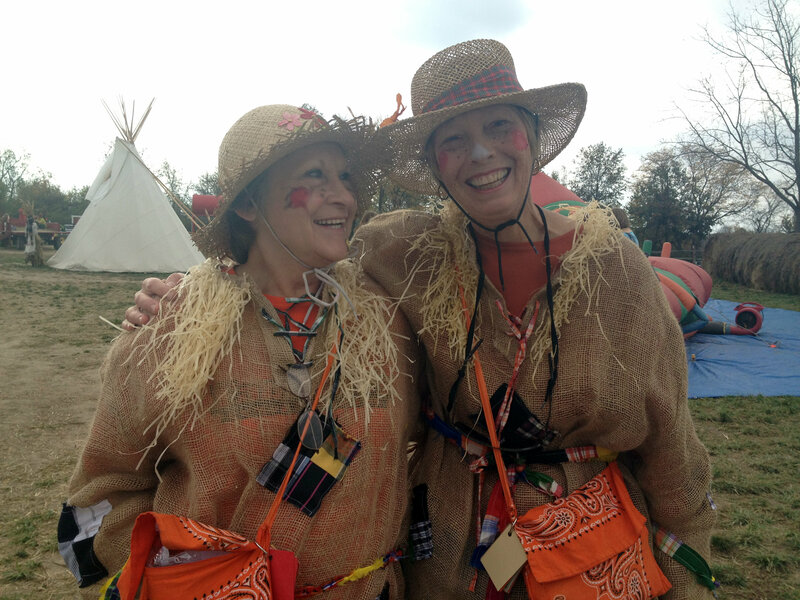 The scarecrows present a lesson the students are sure to remember and I learn something new each year as well. 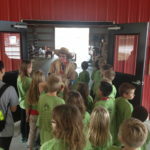 What are your Field Trip Policies? Does our group qualify for a Fall Field Trip? 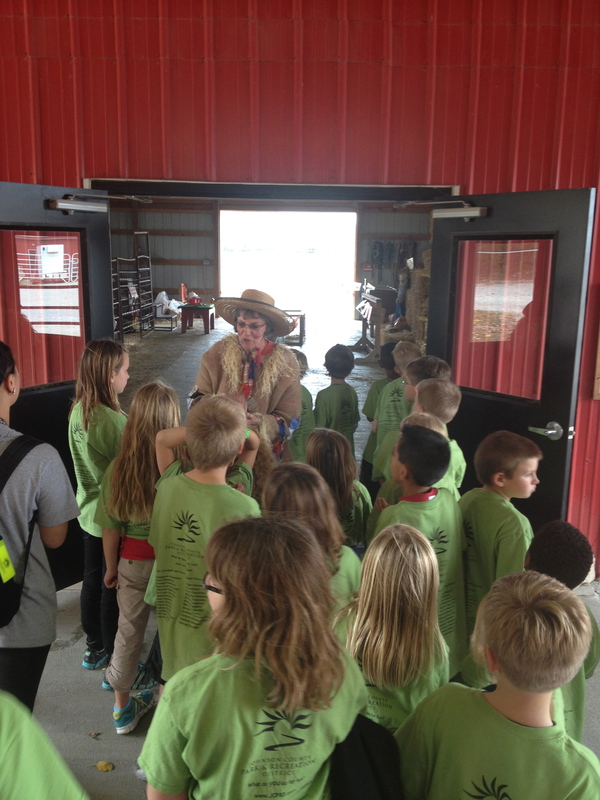 Our Fall Field Trip is designed for students ages 3-12 years old. 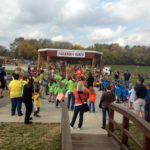 Common types of field trip groups include elementary schools and preschools. 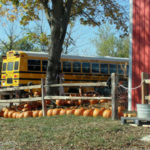 There is a $100 minimum required to schedule a Fall Field Trip. That is a minimum group size of 13 paid participants required to schedule. What if our group does not meet the $100 minimum required to book? Consider attending one or our Monday morning playdates instead, each Monday in October 10am - 11:45am. Admission during this time includes a pie pumpkin. No reservation required. My school is tax exempt. What do I need to do? You must present a current copy of your tax exempt letter at the time of payment or you will be charged the local and state sales tax. In the event of light rain and scattered showers, there are lots of dry places to play and learn at the Ranch. If the weather is severe we will try first to reschedule your visit. 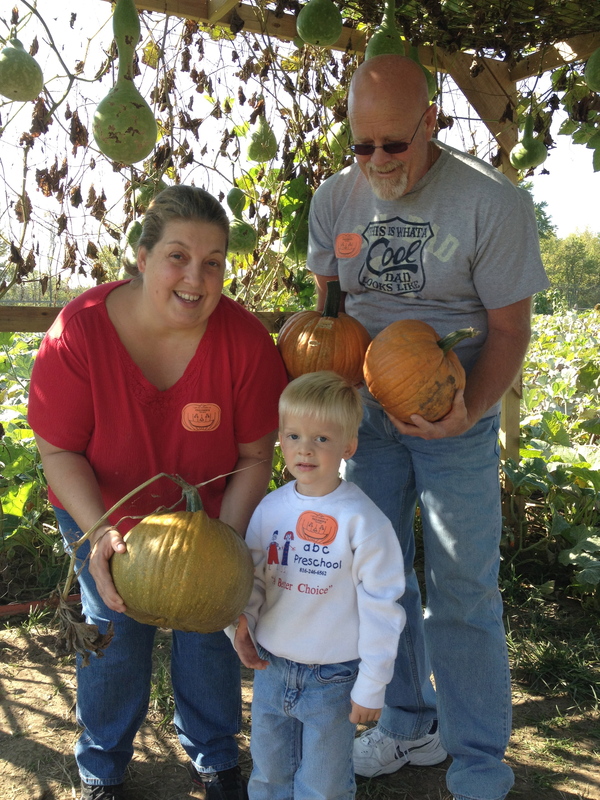 If rescheduling is not an option, a Scarecrow can come to you! 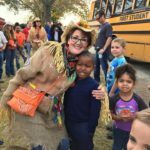 A scarecrow visit to your school includes a pumpkin for each student to take home along with a pass to come back to the Ranch. The Scarecrow will also read "The Story of Pumpkin". The price is $8.00 per person. Outdoor play clothes and closed toed shoes are advised. Layers are lovely! Our goal is to keep your guests clean, dry, and comfortable during their visit to the Ranch.